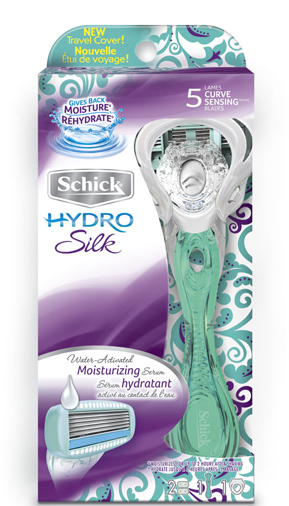 We remember the first time we upgraded from our boring disposable blade to Schick Hydro Silk. 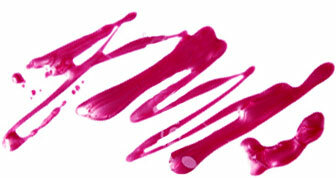 Our flaky, dry skin disappeared, we didn't have to slather on body lotion to keep skin smooth - life was good. Hydro Silk's water-activated moisturizing serum and five curve-sensing blades left us with smooth, nourished skin and a constant urge to show off our gams. But every time we finished a razor, we longed for a stash of refills. The newest member of the Schick family is this Hydro Silk Limited-Edition refillable razor with a cool, Caribbean green handle and a ventilated travel cover. (Preventing mildew is a beautiful thing.) Toss those simple boring blade. If you aren't keen on razor burn, irritated skin, stubble tourble, ingrowns and accidental cuts, this razor will be your everything. Speaking of upgrades, Schick wants to give you a razor intervention, a.k.a. Razorvention. Luckily, this type of intervention doesn't involve Dr. Drew rallying your family and friends to send you off to rehab. Schick's Razorvention Revamp gives you a chance to win some amazing beauty, fashion and home decor prizes so you can upgrade your razor - and lifestyle - at the same time. The contest is super simple. Visit Shick Hydro Silk's Facebook page to preview the week's giveaways. If you see something you'd like to upgrade, all you have to do is "like" the Facebook page and upload a photo of your outdated item in need of version 2.0. A new winner will be selected every day! Plus, there will be even bigger prizes at the end of each week. But wait, it gets better: If you share your uploads on Facebook, you have a greater chance of winning the week's grand prize. We'd hate to see you miss out on some great prizes, so make sure you check the Facebook page often for prize intel. Stay connected with Schick Hydro Silk on Facebook and Twitter for the latest news. Happy revamping!